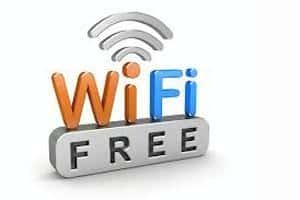 In order to make mobile connectivity easier and to push IT based government interface with people, the Narendra Modi government has decided to provide support to state governments and municipal bodies for launching Wi-Fi services in urban areas and universities. BJP’s poll agenda included creating “islands” where Wi-Fi connectivity will be made available to expedite the e-governance across the broad, particularly in urban areas. The telecom department will be taking approval of “competent authority” for this project by next March, as they submitted it before PM on Saturday as per the sources. They will also be working to take Cabinet approval for a scheme aimed at providing mobile phone connectivity to all uncovered villages in Himalayan states. Proposal to get Cabinet approval for comprehensive telecom development in the North East region is in the line as well. As far as the comprehensive presentation of all key infrastructure ministries is concerned, the Planning Commission submitted that the department has the target to award works to set up 500 mobile towers in the districts affected by Left Wing Extremism (LWE). Moreover, this year it targets to connect 50,000 panchayats through national optical fibre network (NOFN).